IN CASE YOU didn’t know it’s National Potato Day – a day to celebrate and most likely eat the humble spud in the variety of different and interesting ways it can be cooked. The day of celebration is a Bord Bia initiative which aims to put the spotlight on the “trusty vegetable, which graces thousands of dinner plates across the length and breadth of the country every day”. Now in its third year Bord Bia runs the day in conjunction with the Irish Potato Federation and the Irish Farmers Association. A number of events are taking place today including charity runs and free tastings (of potatoes presumably). Log on to Potato.ie for more. In total 245,000 tonnes of potatoes were produced in Ireland last year. That equal to the weight of a large cruise liner. There are 535 potato growers in Ireland with over five hectares of land. The retail value for potato sales last year is valued at €165 million. There is more Vitamin C in a potato than an orange. Email “Happy National Potato Day! Here are 7 interesting facts about the humble spud ”. Feedback on “Happy National Potato Day! 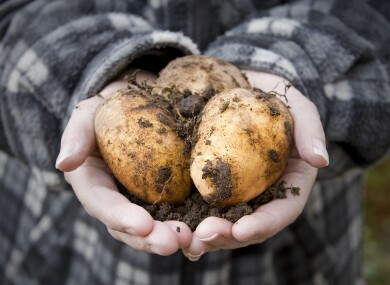 Here are 7 interesting facts about the humble spud ”.